Want a project that, when complete, will float you across the road in grand style while sounding completely bonkers with straight pipes? Do you have the urge to slow your project car addiction by buying one that will take the rest of your life to complete? The top-of-the line prewar Ford shown here just might do the trick. 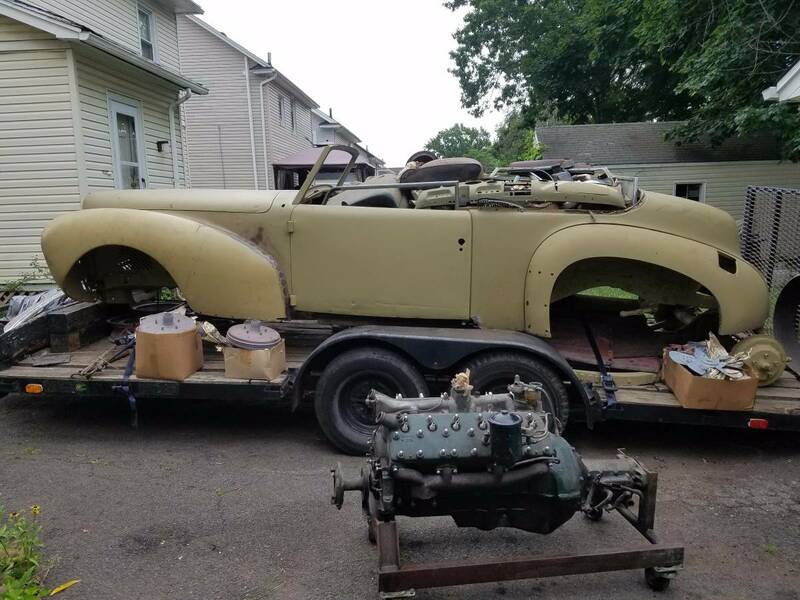 Find this 1941 Lincoln Continental V12 on craigslist on Staten Island for $9,500. This post is part of DT's 2016 Birthday Celebration of 100 cars; enjoy the ride! The Lincoln V12 was a kinda-sorta Ford Flathead V8-based motor that found its way into many luxury barges both pre and post-war. 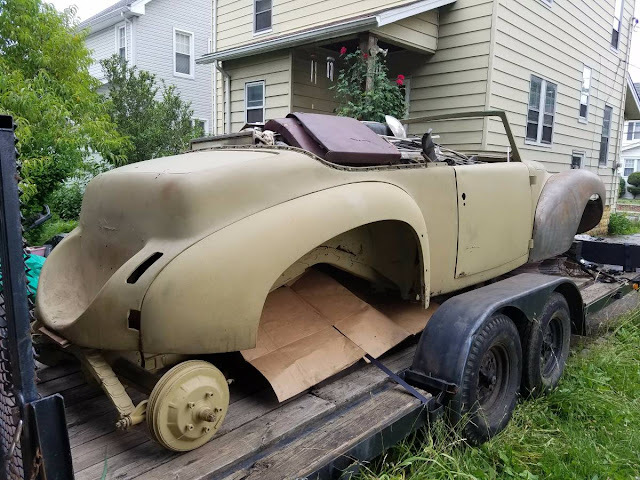 The prewar motors were plagued with problems that typically ended in mandated rebuild, which is unfortunate because buying 12 of everything is punitively expensive. Other interesting features of these motors were an insanely long intake manifold with a single barrel carb, iron pistons, and a 75 degree V with connecting rods that shared journals. This latter fact meant that the V12 fired at uneven intervals – known as odd fire - and sounded like the parking lot after last call at a biker bar.